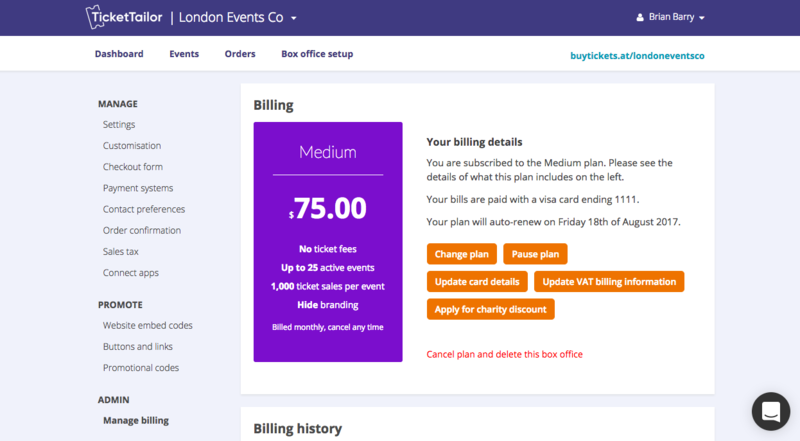 If you no longer need your Ticket Tailor box office, you can cancel your plan at any time. This tutorial will show you how to permanently delete your box office. Under the Billing heading, follow the link marked “Cancel plan and delete this box office”. Here you’ll be reminded that cancelling your plan will lead to your box office being permanently deleted. If you plan to run events again the future, remember that you can always pause your plan. If you still want to go ahead and permanently cancel, click the link marked “Cancel plan and delete”. You cannot delete your box office while you have active events on sale. If you want to cancel your plan, first switch any live events to DRAFT. 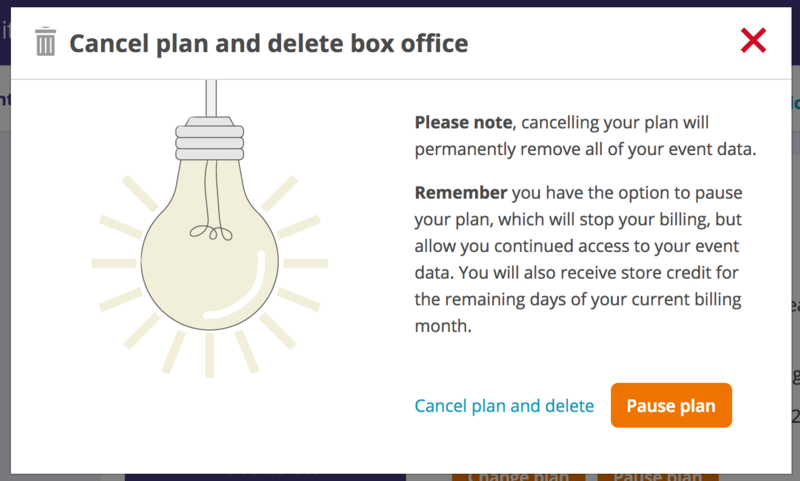 Cancelling your plan permanently deletes your box office and all your event data. If you want to run events in the future or keep access to this data, you can pause your plan instead. For more information on pausing your plan, please see the tutorial How to Pause Your Plan.